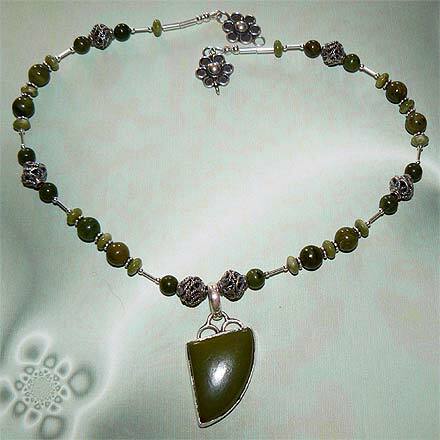 Sterling Silver Nephrite Jade Necklace. See Closeup. 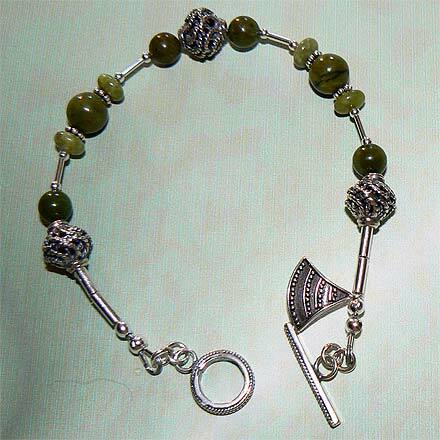 Sterling Silver Nephrite Jade Bracelet. 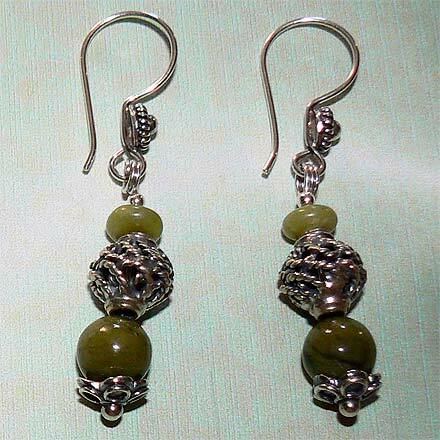 Sterling Silver Nephrite Jade Earrings. 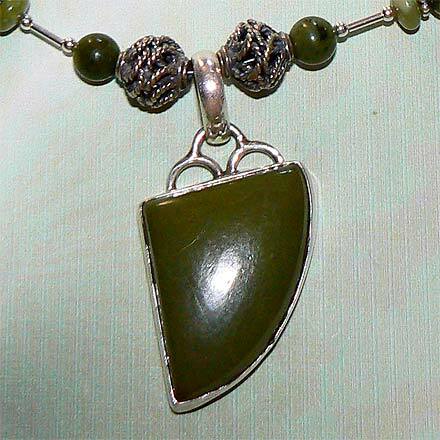 Olive-green Jade...a great accessory for khakis. For those who are interested in Astrological significances of stones, Jade corresponds with Libra.